After Hurricane Sandy in October 2012, Sea Box, a storage container manufacturer, provided businesses, including manufacturers, with a variety of intermodal shipping containers that served as temporary facilities. Businesses and organizations used the cargo containers for functions as diverse as front offices, storage facilities that held parts inventories, and even a machine shop. 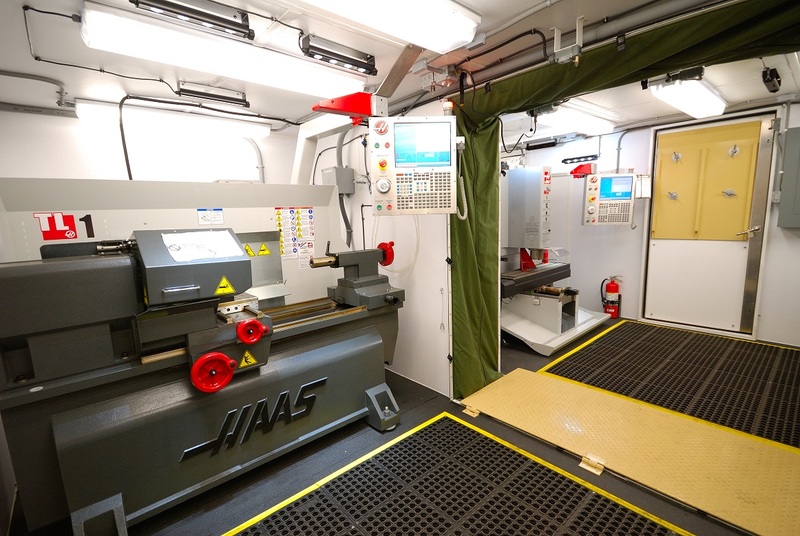 Indeed, the East Riverton, N.J.-based company developed a complete "machine-shop-in-a-box," equipped with a mill and a lathe, for the U.S. military (see photos below). "It's actually built inside of two shipping containers that are connected together, and it's a complete machine shop," said Bill Begley, director of Sea Box's Modular Building Group. Manufacturers, Begley said, could get up and running after a disaster if parts were in short supply and needed quickly. "You just go into the containerized machine shop and create one. So you reduce the need for a huge inventory," he said. After researching the needs of manufacturers, Sea Box is one of a number of companies that sells and leases new and used ISO (for International Standards Organization) shipping containers, cargo containers, mobile storage containers, and refrigerated containers for scores of applications. "Because mobile and modular space can be quickly procured, it is an excellent resource when existing manufacturing plants, production facilities, offices, or other structures are damaged or destroyed in a disaster such as a hurricane," said Brad Soultz, president of Williams Scotsman North America, the Baltimore-based provider of modular space and storage solutions. "Mobile space provides a reliable solution for rebuilding, relief efforts, and temporary shelter." A Williams Scotsman modular office building was used in Belmar, N.J., after Hurricane Sandy. According to a 2013 United Nations Office of Disaster Risk Reduction report, Asian home appliance manufacturers faced product and parts shortages after the March 2011 earthquake and tsunami in Japan and 2011 monsoon season floods in Thailand. The report noted, "In particular, home appliance manufactures were under tremendous pressure, because delay in supplying end products to the market eventually means smaller shelf shares in retail stores, resulting in serious disadvantages in the market. 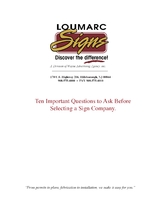 Knowing that, in the worst case, such conditions could last for a long time, manufacturers made desperate efforts to restore their offices and factories sometimes even with help from their partners." The production plants of many of those appliance manufacturers sustained major disaster damage, and they had to find new sources to assemble products. Ultimately, the manufacturers teamed up with their supply chains to speed delivery of much-needed appliances to retailers and get back to market. Indeed, modular spaces aid in the speed of a post-disaster recovery, Soultz told Industry Market Trends. "In the wake of a devastating natural calamity or an act of terrorism, communities need immediate solutions to keep vital services in operation." Williams Scotsman played a key role in helping rebuild efforts following each of the recent major U.S. hurricanes. After Hurricanes Rita and Katrina, the company deployed hundreds of mobile office and storage units that enabled local businesses to continue their operations. Following Hurricane Sandy, the company provided Belmar Township in New Jersey with multiple modular units to be used as restroom facilities, umbrella and chair rental stands, and first-aid stations. Businesses looking to resume operations can go to trade groups in the buildings industry, such as Cleveland-based Metal Building Manufacturers Association (MBMA), as resources. "A lot can happen to a structure in a disaster. Many times, an owner occupies a building that was designed by an MBMA member, and the building has been put under stress by the event," said MBMA General Manager Charles Praeger. "So it's not unusual for an owner to call the building manufacturer and say, 'Can you send an engineer out, or work with us to find a local engineer that can look at the facility, and make sure that it is structurally safe?' And that's true for all buildings that go through an event, such as an earthquake, hurricane, etc." A directory at the MBMA site can be a starting point for research after a severe weather event, Praeger said. "An architect or other official working with the business that needs help post-disaster can go to the online directory at the MBMA site and make contacts, get competitive bids, and take other steps on the road to recovery." Another useful association is the Modular Building Institute (MBI). The trade group outlines the advantages of relocatable buildings at the Emergency & Disaster Relief part of its site. Most organizations don't have time to compile the best advice and research/analysis on disaster planning, preparation, and recovery, said Nora McGrath, chief administrative officer at M SPACE, a modular building general contractor based in Park City, Utah, which has experience helping clients rebuild after devastating events. 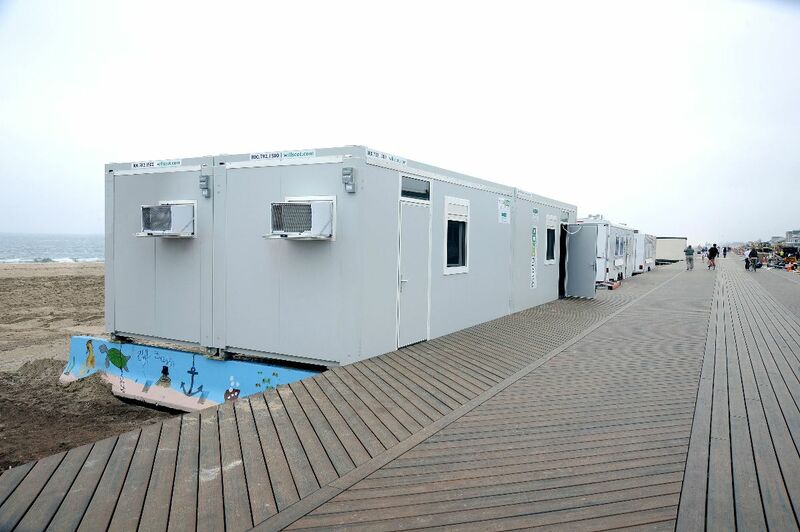 The firm's modular buildings can be used as immediate permanent or temporary space solutions. When disaster strikes, you need to be able to reach out to your network, McGrath told Industry Market Trends. "What we recommend is that manufacturing executives have various emergency response contacts on hand outside the office for reference after a disaster," she said. "If someone has all their contact information at the office when it isn't accessible, or they have no Internet access where they are sheltered from the storm, it greatly delays the process." 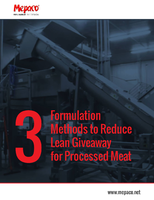 Read part four of this series, Manufacturers Join Consortiums to Help Each Other After a Disaster. Read part five of this series, How to Preserve and Recover Documents After a Disaster. Read part six of this series, Why Preparedness Is Crucial in Disaster Response and Recovery. Read part seven of this series, Using Trade Associations and Expert Consultants in Disaster Planning and Recovery.